Soaring freight rates, a shortage of big rigs and strong freight demand combined to make January’s heavy-duty truck orders the best since 2006. The strong economy and favorable new tax policy are encouraging motor carriers to make large fleet investment. Manufacturers received orders for 47,200 trucks in the heaviest Class 8 weight segment last month. That’s a 116 percent increase from the same month a year earlier and the best showing since March 2006. “These levels were well above our already strong expectations and continue to indicate that the equipment markets are still reacting to the tight capacity in the truck marketplace,” said Jonathan Starks, chief operating officer at FTR Transportation Intelligence. 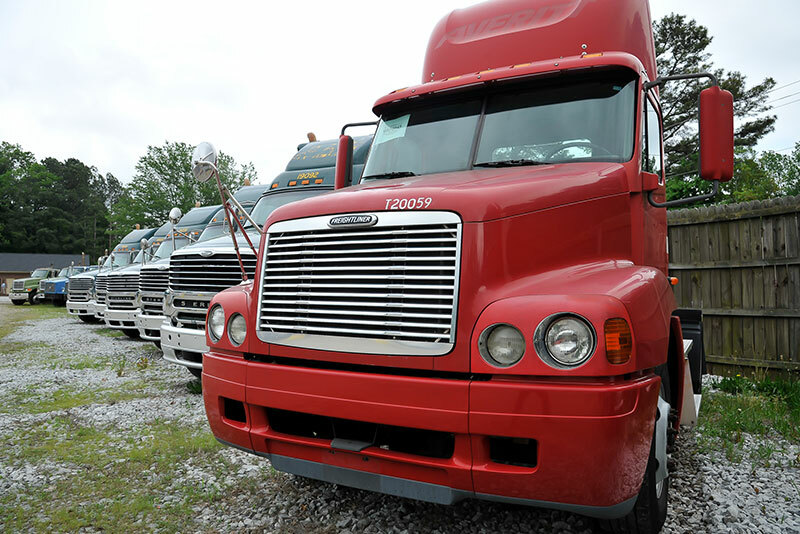 Truck orders could stay quite elevated throughout the spring, Starks said. ACT Research, another trucking industry consulting firm, had a similar estimate. ACT said manufacturers posted orders for 48,700 Class 8 trucks in January, a 107 percent increase from the same month a year earlier. “We were not surprised to see robust orders, given improving freight fundamentals and other factors, such as tax reform, but reported orders were well above even heightened expectations,” said Michael Baudendistel, an analyst with Stifel Financial Corp. Recent tax legislation also played a role. Trucking companies have opened their wallets because they expect to have to have more money to spend on new vehicles in 2018. The new tax code allows smaller, privately held carriers to be taxed at the owner’s personal rate, lowering their tax burden. “Clearly, the industry is on pace for a year that should handily exceed 300,000 trucks built,” Baudendistel said. Truck manufacturers are also projecting a rosy 2018. Volvo Group is predicting a stronger North American truck market in 2018. It is forecasting industry sales of 280,000 heavy-duty trucks for the region in 2018. “The freight environment is strong. Good economic activity and high demand for freight, combined with a tighter transport capacity, has led to improving freight rates,” the company said in a statement. Spot rates are as much as 30 percent higher than a year ago, and that’s expected to translate into more favorable longer contract rates, according to analysts at Morgan Stanley Research. “Freight costs in general and trucking costs in particular are likely to see significant inflation in 2018 after 2 years of deflation,” the investment house said in a report last week. Paccar Inc., the owner of the Peterbilt and Kenworth brands, sees U.S. and Canada Class 8 truck sales for the industry reaching 235,000 to 265,000 vehicles this year. That’s up from 218,000 units in 2017. “Truck demand is increasing due to good economic growth, increased consumer spending, and strong commercial and residential construction, which has resulted in record freight tonnage and high fleet capacity utilization,” Gary Moore, Paccar’s executive vice president, said when the company ssued its annual earnings report last week. Navistar projects the 2018 Class 8 market will increase by about 13.5 percent compared with 2017, making it the third best year of this decade. Overall, Navistar estimates retail deliveries of Class 6-8 trucks and buses in the U.S and Canada will range between 345,000 units and 375,000 vehicles. “Looking ahead to 2018, we see a stronger year with growth in the Class 8 market and steady sales in Class 6 and 7,” Troy Clarke, chief executive of Navistar International Corp. said in a recent conference call with investors. He pinned the heightened expectations on a strong economy, forecasting GDP growth of 2.5 percent to 3 percent this year.